HealthcareLink - Find professionals now! How would you classify this role? How long do you want the new hire to work? Is this a permanent role or locum (temporary)? Permanent roles are for 12 months or longer. Full-time is equal to 38 hours or more. Part-time is less than 38 hours. Locum roles are for less than 12 months, usually 6 months or less. Select the business type that best suits your organisation. This will help us understand more about your practice and the type of person suited to your practice. The salary remuneration structure is an important decision-making factor for a candidate, in choosing to apply for your job. It is a crucial indicator. Your ideal match will likely want the same type of remuneration structure as what you are offering. An annual salary encompases remuneration has an expectation of hours to be worked, usually per week, and includes superannuation, holiday and sick leave benefits. A daily or hourly rate is usually offered for locum or part-time positions. It is usually higher per day than an annual salary, mainly because superannuation and leave benefits are not explicitly remunerated. Percentage (%) of billings is offered primarily to GPs, or patient-facing practitioners who are expected to take on a responsibility for maintaining and growing the patient base. 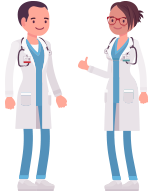 Employers who offer % of billings as part of the remuneration package usually also provide additional business development and admin support to the doctor or practitioner. Specify a start date to indicate to the candidate when the role is available from. Let the candidate know how long the role needs to be filled. Please enter your email address so we can email your access details. How would you like to hire? Create job posts, get direct access to applicants, explore all our hiring tools, and join our professional network of over 62,000 members. Get access to candidates that have been pre-screened by our platform as well as our local experts. Receive premium support over the phone during and even after the hiring process. Would you like direct or auto-matched applicants? Get auto-matched candidates from our platform of over 55,000 professionals when they meet your requirements. Would you like to upgrade your post to a paid promotion? How urgent is your hiring need? You have successfully registered with HealthcareLink. Your password has been sent to your email. Please type this password below to login and post for free. Get Basic Access to profiles of jobseekers that apply to your job post. *Your free post will give you direct jobseeker applications. Pay only when you decide to connect with each jobseeker after reviewing their basic profiles. Automatically receive a pool of pre-screened, ready to work and ready to interview candidates. Conduct interviews of your preferred candidates and select your ideal match. Connect with a dedicated account manager who is an expert in your chosen classification. 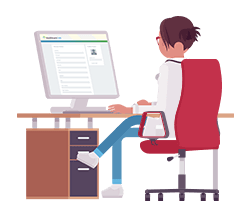 You already have an account with HealthcareLink. Please type your password below. Find the perfect candidate. Link up today. Need Help? Use Our Hiring Wizard! When I need a candidate, you are (‘HealthcareLink.com.au) one of the first I think of contacting, due to the quality of applicants and efficient process. HealthcareLink service is always courteous, prompt and efficient. HealthcareLink is a delight to work with in candidate sourcing support. HealthcareLink attracted candidates to Darwin NT, where normally hard to get candidates to NT, We saved thousands of dollars by using this one-stop platform to source medical staff for our practice. Our platform is truly effortless to use, you'll be up and running in no time. Invite ideal members directly to your open position and connect with like-minded industry professionals & businesses. Get notified via the platform and/or email as soon as you match with a potential job seeker or candidate, receive a message request, or gain new followers. Your branded business profile, complete with website, logo, video, and photos is promoted alongside your job posts, helping to boost your SEO and online reach. Get job seekers sent directly to your inbox; Send invitations to desirable members on the network; Approve & accept referral rewards; Use our On-Demand service; And many more!